Welcome to the world of MidnightStar; where passion meets creativity and rigor. The new school year has begun! And it is time to push students to think in ways. On what they have not thought before. I start off the year with a very challenging topic—Topographic Maps! This topic has many real-world applications and is used in many fields of study. Few of my juniors over the years have worked much with topographic maps and find it to be a challenge. Starting the year with such a topic tends to focus their attention in class and has the added side effect of eliminating negative or distracting behavior. They simply do not have time to get in trouble! This unit starts off with very basic information and builds quickly to complex critical thinking activities and application of the skills they have learned. 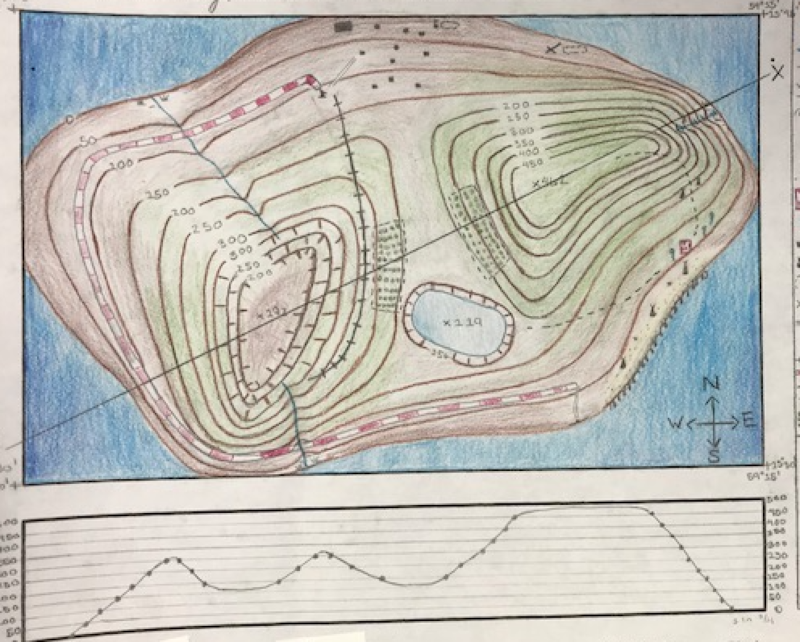 The “Introduction to Reading, drawing & Interpreting Topographic Maps” activity allows for students to be actively engaged in drawing contour lines. Students actively participate as I demonstrate how and why the contour lines are drawn where they are. Included in the PowerPoint are hints about how to avoid the most common mistakes made by beginning students. Even if you are new to the topic of topographic maps. This activity allows for instruction with little to no prep on your behalf. Making copies and reading through the PowerPoint ahead of time are all that are required to jump start this concept. Also, the “Rules for Reading, Drawing and Interpreting Topo Maps” can give basic insight into this concept. I end the unit with the “Design and Island” project that gives students a hands-on approach to demonstrating their understanding. This activity is differentiated so that students can choose their difficulty level. Follow me as I progress through this challenging unit on topography and I will share insights, suggestions and misconceptions about reading, drawing and interpreting topographic maps. Students: Get Ready to Learn!